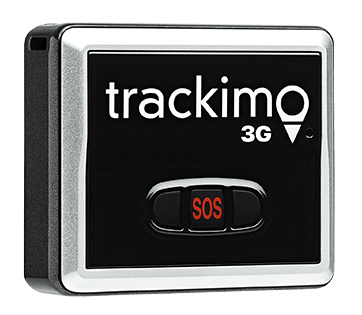 If you are wondering just how useful GPS trackers are, the answer is that they really are. 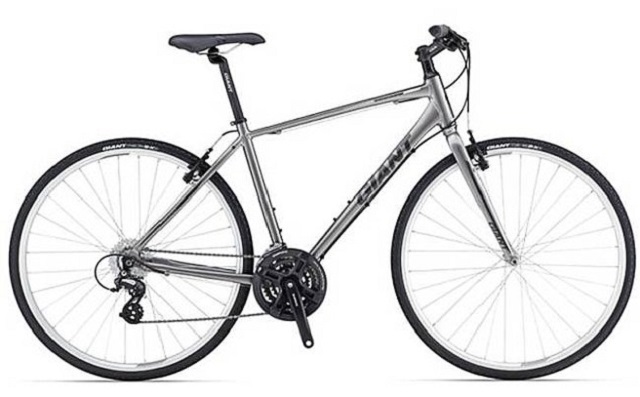 Somewhere in the United Kingdom, someone thought stealing a bike would be perfect—a quick snap of bolt cutters and anyone can just walk a bike away. A lot of people use bikes, so nobody would suspect a thing. Aaron Rush, the owner of the missing bike, made the demand in a form of a letter, which became somewhat of an Internet hit after it was picked up online. 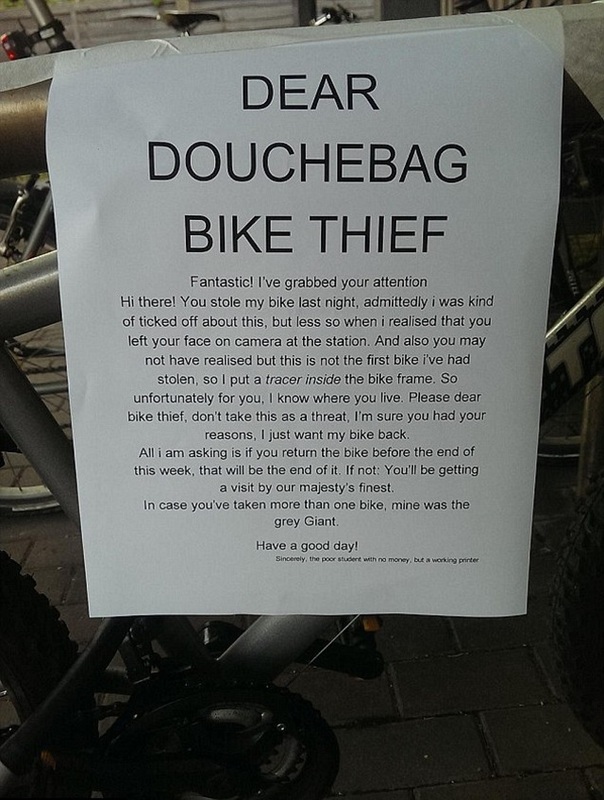 The letter began, “Dear douchebag bike thief” in capital letters, then proceeded on to explain how they were able to trace the bike, letting the thief know that a tracker is fitted inside the frame. After his bike was stolen, he decided to tape the letters to the bike rack where it was stolen from before he checked the tracker, saying that he thought it might give the thief a bit of a scare and so that he could give him a chance to return it without having to call the police. However, the letters got a lot of attention when Rush posted it on his Facebook page, where it was picked up by a number of his friends before going viral and tweeted by tech company Blaze the following weekend. 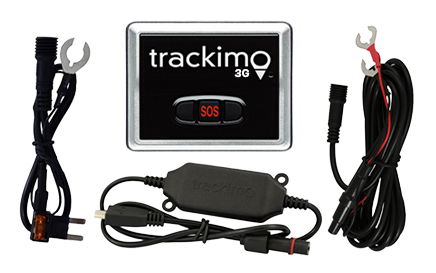 Unfortunately, the thief ignored the angry letter soon after the tracker attached to the missing bike ran out of batteries. Rush said that the whole endeavor was “disappointing,” because he did not recover the stolen bike, and the loss was not covered by his insurance either. 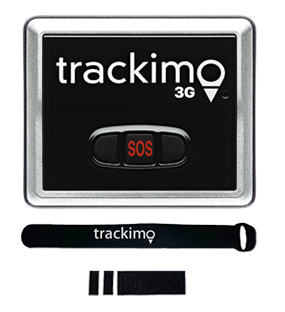 Or learn more about our GPS tracker device for bicycle.